The FORTEX 18″ (457mm) Precision PCB guillotine shears are specifically designed for the cutting of printed circuit boards (Up to 1/8″ )Thick 3.175mm, Aluminium sheet, Brass sheet and Plastic sheet. These units are particularly popular with Jewellery makers, sublimation, sign makers, engravers, trophy centres as well as the Electronics industry. Order Code: GU-0457-01. Category: Metal Shears and Precision Guillotines. 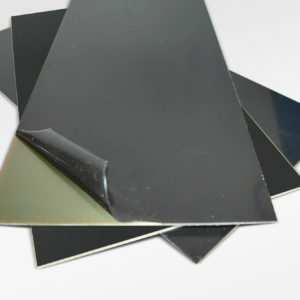 Tags: Aluminium cutting, Cutter, Guillotine, PCB, Shear, Sublimation. 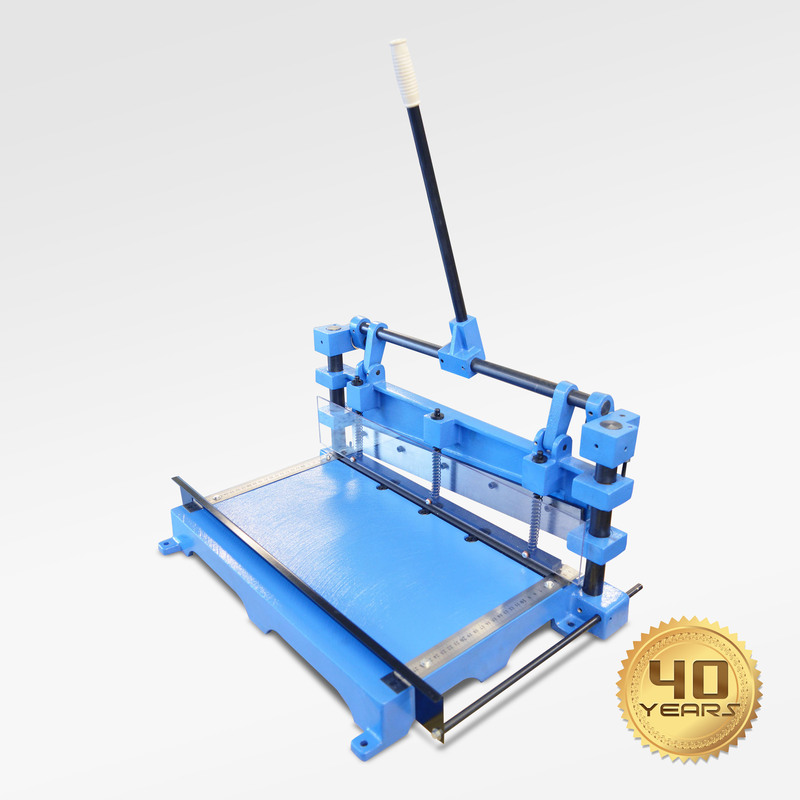 The FORTEX Type 45 Model GU-0457-01 18” capacity (457mm) Precision Shear PCB guillotine are hand operated bench top units, designed for the cutting of plain and copper laminated printed circuit boards up to 3.175mm (1/8″) both resin bonded paper and epoxy glass types. The Precision shears will also cut Paper, Brass, Card, Plastic and Aluminium (1.6mm) and brass sheets. 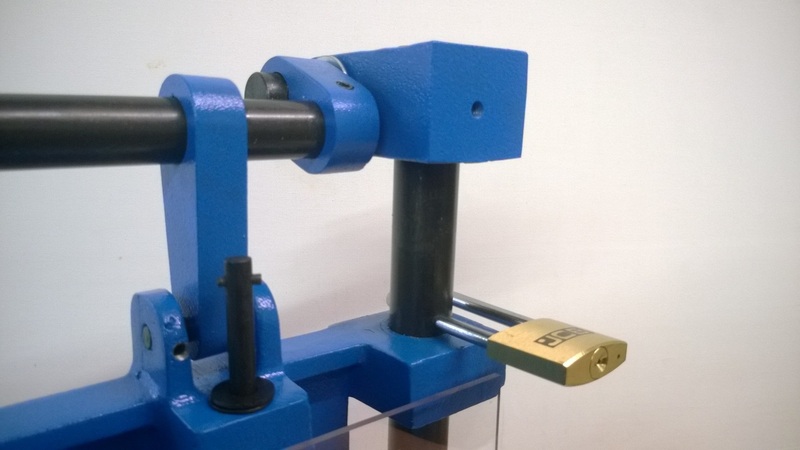 These shears are very popular in Schools, colleges Educational establishments as they feature full safety guarding and optional Padlock facility preventing unauthorised/unsupervised. use. 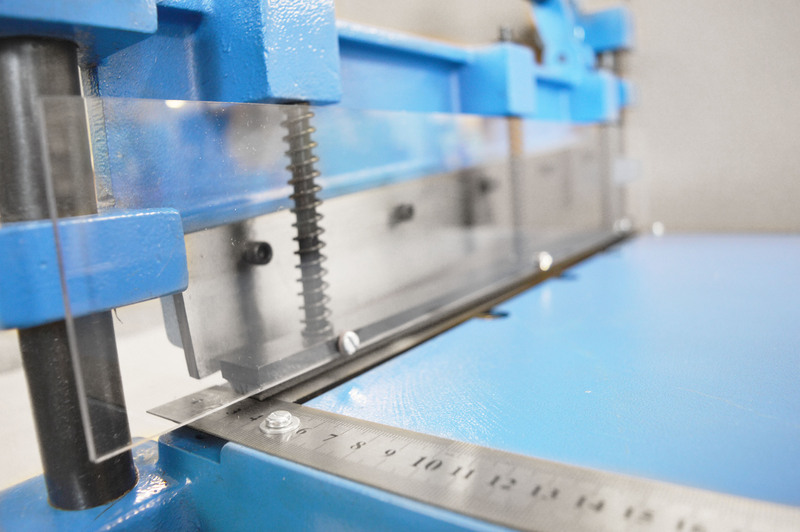 The GUI-18 PCB Guillotine shears are of a robust steel and aluminium construction, incorporating a clear PETG safety guard in front of the ground and hardened GFS01 tool steel blades. The PCB shear blades are adjustable. The clear safety Guard ensures the cutting blades are visible throughout cutting ensuring accurate alignment. The Aluminium cast base is finished in a Epoxy stove Enamel Powder coat, and gives a feed bed measuring 457 mm x 320 mm. 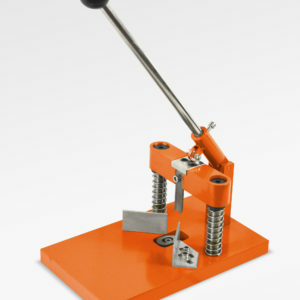 When the operating handle is pulled downwards a spring-loaded clamp activates which holds the material being cut securely during cutting facilitating precision, accuracy and repeat ability. 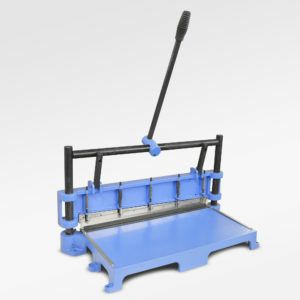 The cutting operation is aided by a mechanical linkage thereby enabling the boards to be cut with a minimum of effort. The carriage of the shear cutter features long life Phospor bronze bearings. The PCB guillotine shears are supplied complete with imperial and metric side scales attached to the heavy duty cast aluminium base allowing for accurate and square measurement. There is also a fully adjustable stop for batch work which can be used ether at the front or back of the Guillotine Shear machine to allow easy rapid accurate repetitive cutting of work pieces. 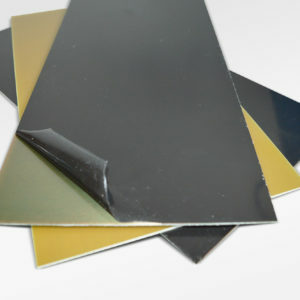 Sets of replacement GUI-18 PCB shear blades are available to order separately. Full instructions for operation including blade resetting and replacement are supplied.